Recently came upon a DPMS Panther M4 style AR and decided to purchase it. It was a "lightly used, 200 round" rifle that a LEO had used as a personal gun and was forced to sell due to finances. Once I got it home I proceeded to tear it apart and start a thorough clean and lube. Take into mind all my descriptions given are in comparison to my S&W MP15A with 200rounds down it. The gun was filthy (had to soak it in CLR for almost 2 days to get it clean) and as I started to tear into it I started noticing things that needed repair, etc. My biggest items I was unsure about are the bolt and carrier. On the bolt itself the gas rings appear to be damaged, with 1 ring being burned up?? and bent and the two other rings not fitting, to me, as tight as normal. So my question is what all do you think needs to be replaced, with what parts would you recommend, and how many rounds would you guess have actually been down the gun from the wear? 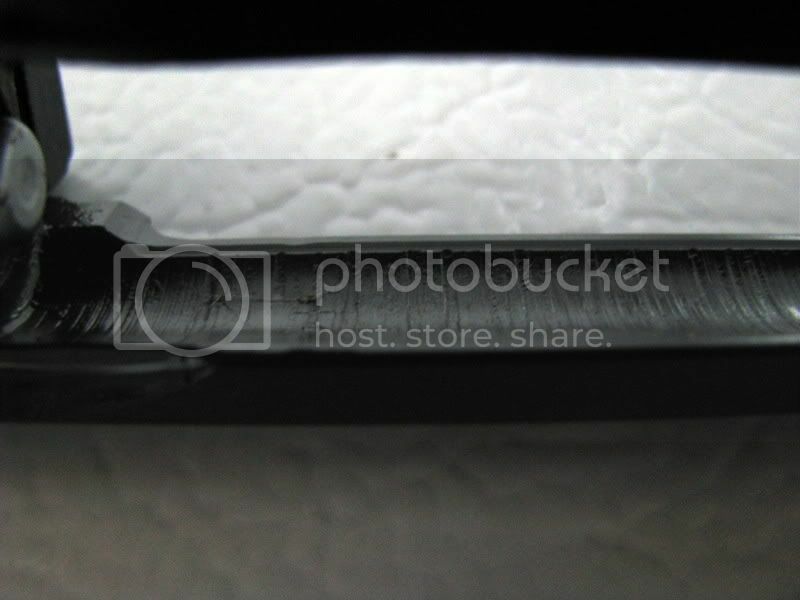 I would definitely replace the rings, they are unserviceable, and that is obvious damage. The carrier internally in your third picture appears to be rough machining. This area does not interact with anything else in the rifle, so this should be of no concern. Now, the damage internally to the carrier, where the gas rings ride, could be a concern. This could have taken place due to firing with the damaged gas ring. If this area is damaged enough, it could cause damage to any subsequent gas rings you install. ETA: This could also be rough machining and the cause of the damage to the original gas ring set. The area in your last picture is also of no concern, again, for the same reasons as photo number three. I personally would replace the unserviceable gas rings, lube things up good in that area and see if the internal damage to the carrier affects the new rings you install. Id say they had more like 2000 or 20000 rounds thru it. No way youll get that mess with 200rds, even with a RR running those 200rds continously. Not a mark on the outside anywhere, but the inside sure seems to tell me a little different. Hmm. Ok, so right now just get some gas rings. BTW for anyone looking for any DPMS has them for a dollar a pop now and actually has them in stock. Most places I have looked don't have them in stock. I Would probably rebuild the bolt (not carrier). get new Extractor spring and ejector spring, strip it down, clean it really good with Brake cleaner, dry it off, and the lube it really well. Also take a hard brissle brush to the outside to get carbon off. Assemble it, and lube the carrier and upper really good. 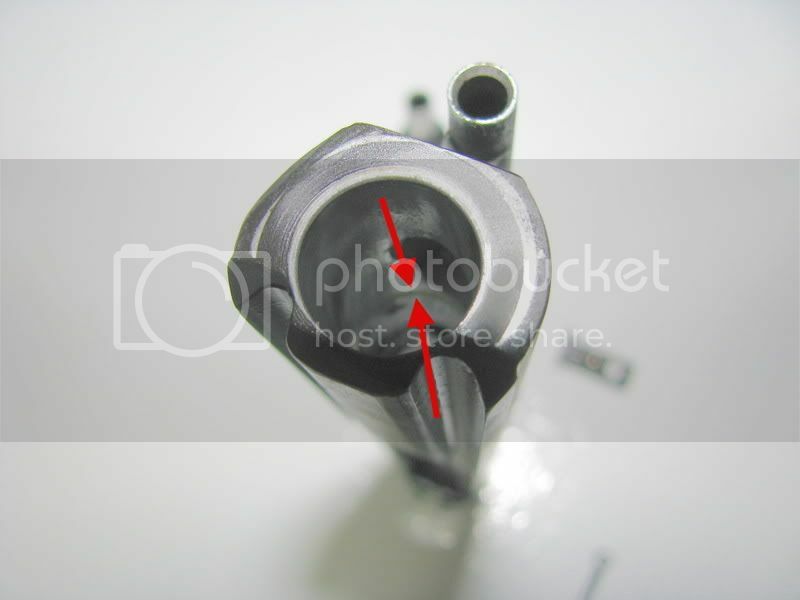 Clean the bore and chamber really well b4 shooting it also. I have a repair kit coming in a few days with an extractor spring, and ejector spring, ejector, firing pin, etc, that I will be putting in and have already stripped it completly down soaked, scrubbed and lubed. However I couldn't get all the carbon off the end of the bolt (that faces towards the rear of the rifle) soaking in hoppes and using a brass bristle scrub brush, any suggestions? Will the brake cleaner work better for that? The bore has been scrubbed and soaked clean as has the rest of the gun, and now looks like new. (except for finish wear inside here and there). "lightly used, 200 round" since it was last cleaned, maybe. The only way that's 200 rounds of wear is if it was shot with no lube, and filled with silica grit. 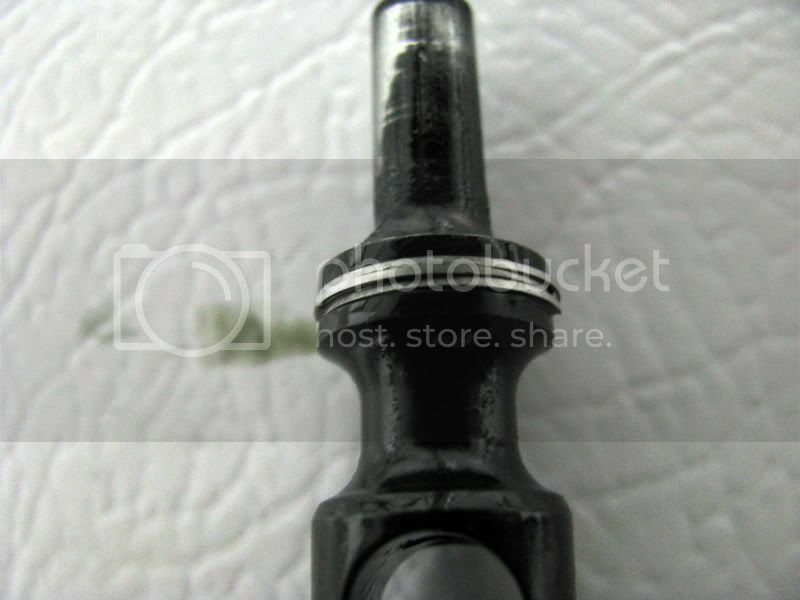 For carbon cleaning, check out my bolt cleaning thread on page one under the Forum Resources. As far as replacing the extractor or associated parts goes, wait to see how the current extractor functions. No sense in replacing parts if they function and are serviceable. I agree the machining is pretty darn rough, def. not what I expected to find. I just read the thread on carbon removal and am now trying the same to see if there is any difference. It looks like some of mine 'may' be pitted too. 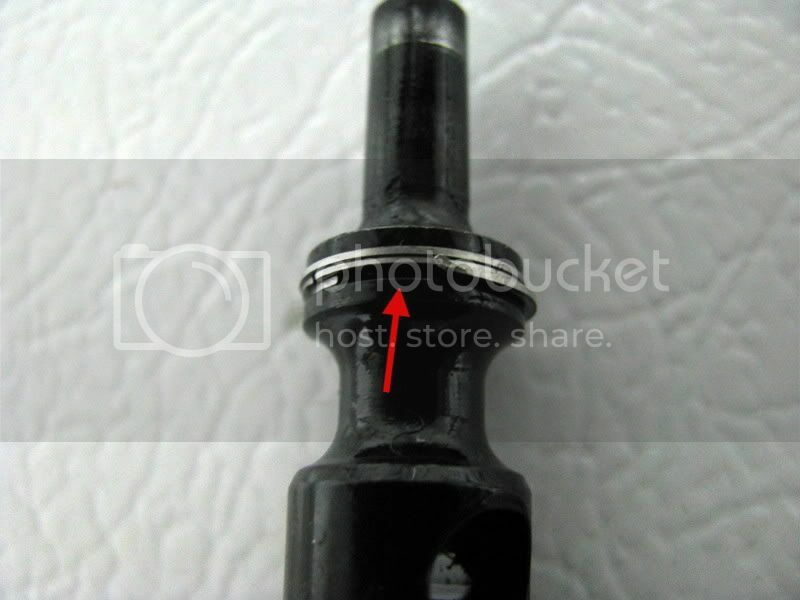 If your bolt is pitted, could you please post pics. If you don’t mind, I wouldn’t mind adding the pics to my Resource thread as an example. That is, solely with your permission. And of course with full credit as the pic owner. Right now it is still soaking, as the carbon just doesn't want to come off, but I will double check it and if it still looks like pitting, then I will post pictures for ya. You can always use a dremel with a stainless brush on it. Go SLOW and lightly. It will come right off. There used to be a pinned thread somewhere on how to tell how many rounds had been fired through an AR but I can't find it any more. And of course I'm not a "team member" so I can't search the archives. Can somebody post the link? and I wonder why it was unpinned. I don't remember which forum it was in. I knew DPMS was a low-end manufacturer.... but I didn't know they were that bad. And that definitely doesn't look like 200 rounds.... I would see if the guys wants to take it back. I certainly hope you didn't pay anything near market-value for that thing. Sure gives you confidence in the police, doesn't it? I have seen a rifle, CMMG carbine upper 16", fired for a little more than 200 rounds with ZERO lube... pretty rapid fire, too. It had no wear near this kind of wear. If you have some type of documentation, (email, etc) that states "only" two hundred rounds were fired you may be in good shape. In that case I would take it to an gunsmith and get his professional opinion on paper. If the gunsmith agrees that you were misled I would contact the seller and see how he wants to go about making it right. Not an "in your face" confrontation but rather a more business-like approach. If you have to really push it, (don't know what kind of money we're talking here), you could always file a small claim for the documentation and repairs. It's only about $35 or so to file I think. Gonna have to call BS on you here. No way was that guy an LEO. Cops don't lie. It looks to me like you have a bad bolt carrier. 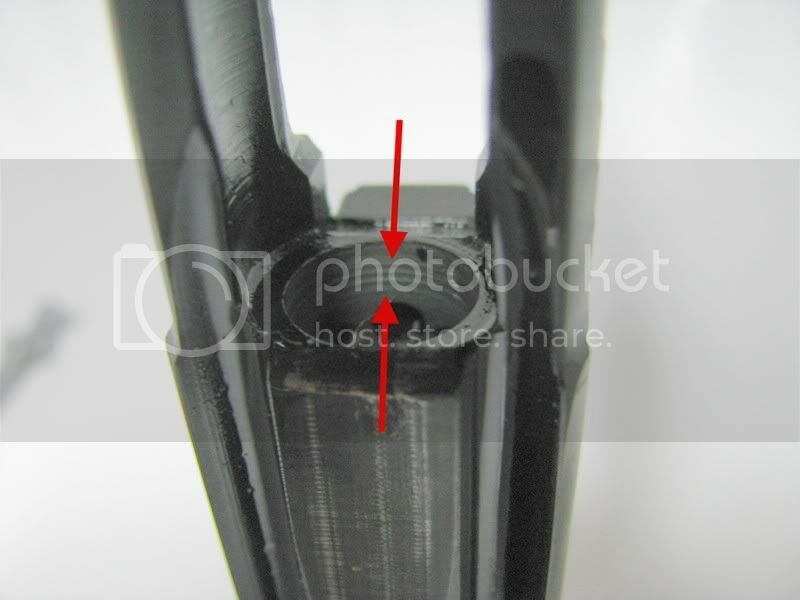 I think what happened is one of those grooves in the bolt carrier was catching on your gar ring and tore it off. I would try to get a new one or sent it to the manufacture for replacement and I bet you'll be all set. I'd have to see a picture of the bolt face to take any king of guess at the round count, but I'm no expert. Buy a new BCG and be done with it.